A patient-centered experience begins with interactive dialogue between you, our physicians, and staff. Please complete the form below to share your thoughts and suggestions for our practice. Advanced Urology Institute is committed to our mission of advancing patient centered care. Your feedback and suggestions are crucial to this process. We are continuously striving to improve the experience of our patients, and our delivery of consistent and quality service. 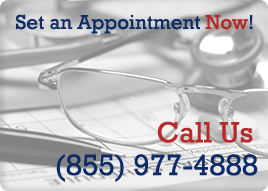 To make an appointment you can contact us directly (855) 977-4888 or you can complete the online appointment request below. When we receive the online request you will be getting a call or response within 24 hours. * 3. Who is your doctor? * 4. Please tell us about your experience while at Advanced Urology Institute. 5. Is there anyone you would like to acknowledge or bring to our attention? Please include any comments you would like to share. 7. Any additional comments and/or suggestions to improve our service are greatly appreciated.